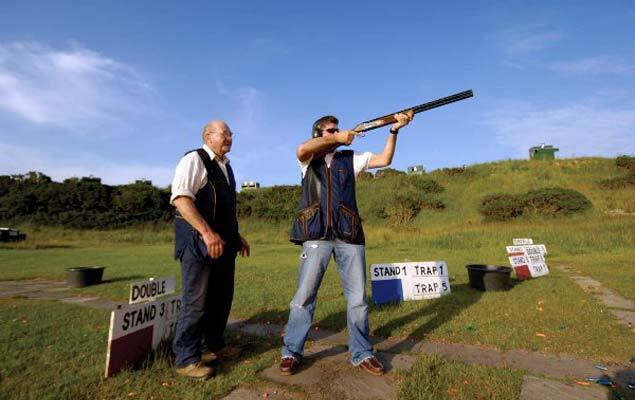 If you are looking for the ultimate hen or stag party experience why not arrange a package with Pitlochry Outdoor Activities. We offer a wide range of activities to get your heart pumping. White water rafting, canyoning,cliff jumping, quad biking treks, 4x4 off road driving and of course there is the king of activities, the bungee jump. For a full list of what’s on offer check out Our Activities. You can combine lots of different activities to make an experience you will never forget. Why not let us arrange accommodation in the heart of activity land, Grandtully; for your adventure package then all you need to do is get here. For all day activities we are happy to organise a much needed hearty lunch. Please contact us to discuss your individual requirements, we can make organizing your weekend easy and hassle-free. So come on and DO SOMETHING DIFFERENT! Our basic package includes two nights self catering accommodation, and two activities. Choose from White water rafting, canyoning,cliff jumping , Quad Bikes or paintballing. 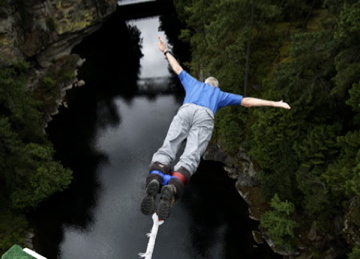 To add a Bungee to this package there is a £25 supplement for each person that would like to jump. We can also taylor a package to suit your party, we can include horse riding, fishing, shooting or any of our other activities. Phone or e-mail for help with your party.